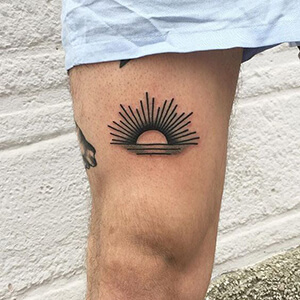 Rising Sun: the rising sun marks the beginning of a new day, and hence it has become a symbol for rebirth and renewed faith. 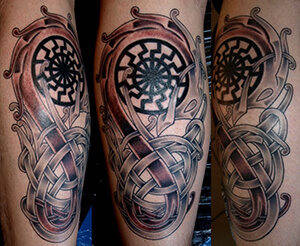 It can also represent a transition into a new chapter of life and serve as a sign of hope. Japanese Sun: Japan, also known as the ‘Land of the Rising Sun,’ is known for its beautiful sunrise, due to its location in the East. The red circle on the Japanese flag represents the rising sun, and this symbol makes a good choice for those who have Japanese ancestry or for those enthralled by Japanese culture. 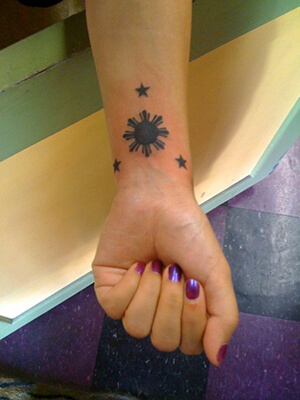 Three Stars and Sun: the official design is taken from the Philippines’ national flag, and each of the stars represents one of the three island groups in the Philippines.Those who choose to get a three stars and sun tattoo design are showing a symbol of cultural pride. Celtic Sun: the ancient Celtic peoples were Pagan, and the sun played a large role in their spirituality. 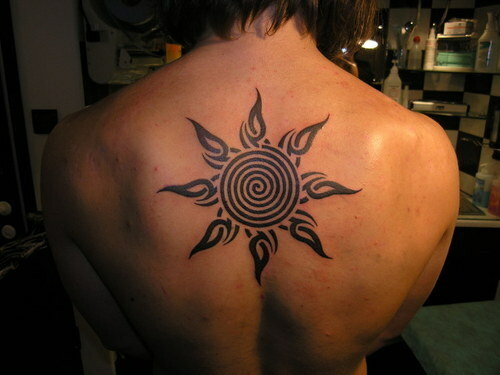 The Celtic sun represents knowledge, truth, and rebirth. 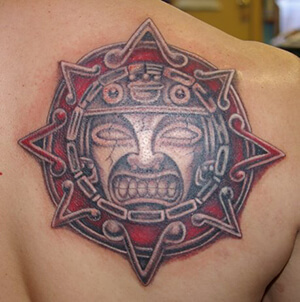 Mayan Sun: the Mayan peoples featured the sun in their own hieroglyphics, symbolizing their power and strength as warriors. 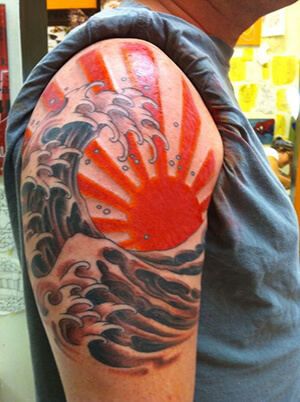 Polynesian Sun: this tattoo design symbolizes eternity, representing the daily rising and falling of the sun. 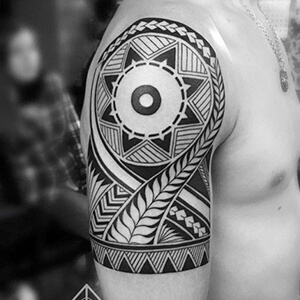 Due to the sun’s role in crop growth, the Polynesian sun has also come to symbolize wealth, leadership, and brilliance- all indicators of a successful community. Black Sun: this Germanic symbol, also known as the ‘Sun Wheel,’ was originally found on the flooring of the Castle of Welwelsburg, in a mosaic design. It became known as an occult symbol after Hitler used these grounds for pagan rituals. Despite the design’s association with the Nazi party, its meaning is entirely separate. Today, the Black Sun is a sign of Germanic Neopaganism. It appeals to those wishing to honour their German heritage. 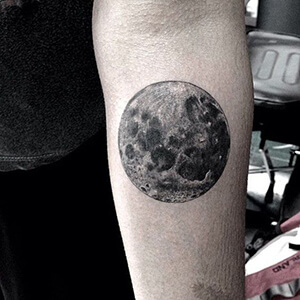 Full Moon: the full moon tattoo design is connected to superstition in many cultures. It was believed that a full moon was the time when boundaries between reality and spirituality were the weakest. Hence, it has come to represent magic, transformation, and insanity. Moon Phases: the different moon phases throughout the seasons represent the cyclical nature of things.They’re also symbolic of feminine energy, relating to the female bodily cycles. 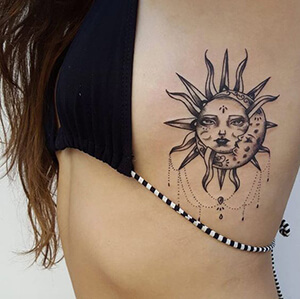 Sun and Moon: tattoo designs that combine the sun and moon, either side by side or in a yin and yang figure, represent the balance between opposite forces. 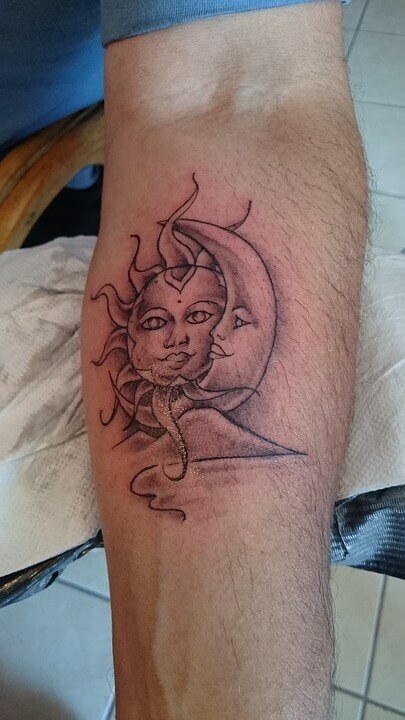 The Sun symbolizes masculine energy and the Moon symbolizes feminine energy. 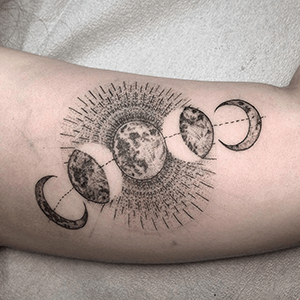 Since we all relate to the sun and moon at the most fundamental level, it’s no surprise that there is such a variety of sun and moon tattoo designs. Whether you connect to these natural forces on a spiritual or personal level, there’s no doubt that these designs are abundant in meaning. 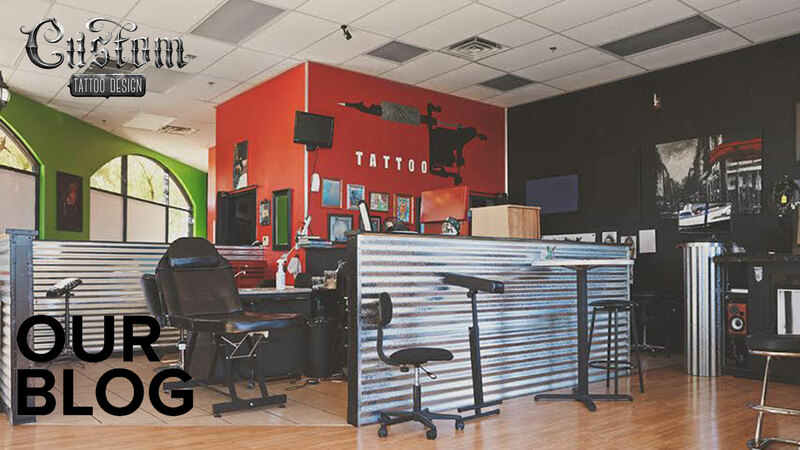 If you know of other prominent sun and moon tattoo meanings, let us know about them in the comment section below!